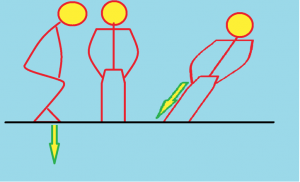 This program is designed for ski cross clubs with year-round training. It contains foundational material to prepare you for the next level programs labeled BLUE, GREEN, RED corresponding to the colors of athlete shirts worn by racers on the ski cross finals. We strive to make our programs clear, logical and sustainable. 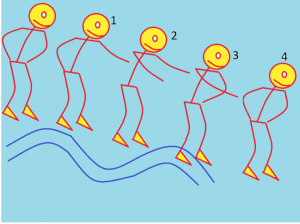 The main goal of USSX is to design training system for ski cross coaches. USSX assists in the opening of Ski Cross clubs across the USA. Our programs aligns coaches and athletes training to provide common direction and follow best methodologies. 1.1 Summer training plays major role in preparing SX athlete for top performance during competition season. The Current section of the program is designed for the beginners age of 8-14. It is more efficient to divide athletes into groups not by age but by skills and strength indicators. Young kids try to express themselves looking up to more seasoned guys, gaining motivation to get improve faster. As a result, the effectiveness of the training significantly increases. Division into age groups limits highly motivated athletes with accelerated development. In ski cross, safety is the paramount concern, and it is important to prevent athletes from engaging in exercises they are not ready for. Kids need to have an opportunity to move up in training level according to their results of the final control trainings and competitions. The Coach needs to understand that advancing into the next level is a very important moment for the young athlete. It should signify an important achievement in his sports career. Moving to the lower level group may inflict negative feedback from the kid and his parents. Sometimes such rotation can be acceptable if the athlete returns after a long illness and his physical indicators decreased. 1.2 Psychological Environment. Training results in terms of playing and positive atmosphere are higher up to 70%! Club management should motivate their coaches to implement gamification as a predominant style of training activity. Summer training is a serious physical challenge and can also cause emotional exhaustion. 1.3 Physiological Basics. Physiological basis of an athlete must be considered while designing the training schedule. 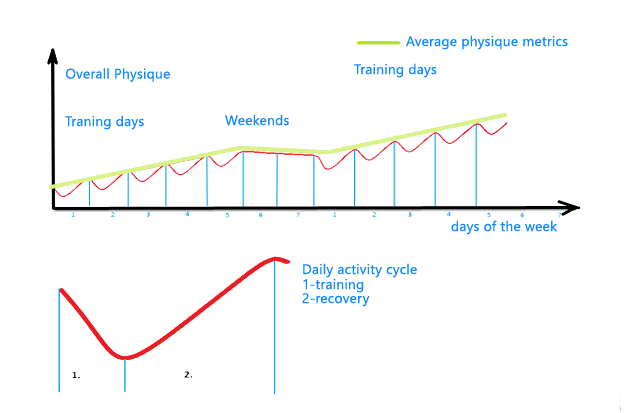 The Current graph represents the typical principle of the athlete training. During the workout, an athlete loses his power and his physical performance potential decreases. It is followed by the period of recovery and hyperrecovery This is the way how the athletes improve their form. A Period of recovery and intensity of training also should be considered. Their ratio should give the athlete enough time to recover before the next training session. Otherwise, you can get the opposite effect. In such case, despite the active trainings, the athlete will not be able to progress, and sometimes he can even regress in his results. Remember, that immune system has a similar schedule of work and recovery. In case of chronic physical exhausture, any extraneous infection may easily develop into a full sickness. 1.4 During summer training athletes and their parents must be reminded about properly balanced diet. The athlete has to be supplied with building material for growing body. A sufficient amount of energy sources and vitamins, as well as proper sleep cycles and disciplined personal hygiene, greatly improve the recovery process and should be trained as an essential life habits. 1.5 It’s recommended to organize events that are not directly related to the training. This can be team games for treasure searching, orientation, team picnic on the beach, etc. Parents participation helps them to establish contact and bond closer with kids and coaches. Such events can be organized on monthly basis. On month 4 and 5 training session intensity should slowly increase and then stop before the winter season starts. This chart shows most optimal intensity for developing strength and endurance. EXAMPLE: In April and May while performing strength exercises and running sprints athletes start from the 15 sec circuits at the top speed. By the end of July circuit time increases to 30 sec. By November it doubles to 60 sec for the fast paced sprints. In a similar way, athletes increase training intensity while working on the technique skills. 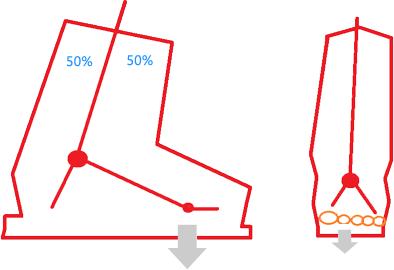 EXAMPLE: Training SX skills on roller blades in April starts with one obstacle per circuit. By the end of summer training season the number of obstacles increases to 5-6. The shape of obstacles and their combination in the course should change frequently. The same methodology applies to a slalom course. Training sessions start with 3-4 turns and then increase to 20-25 turns by the end of the season. Radius and combinations of the turns should very from a straight line to long radius turns. Optimal number of trainings is 3-4 sessions per week, 1-1.5 hrs each. With 4 training days per week, the intensity of training in conjugate days should be closely monitored to ensure athletes have full recovery in between. It takes a lot of efforts to make training process exciting and captivating for beginners. At least 50% of exercises should have games and foster competitive mood. The High emotional state during training helps avoid turning it into a boring routine. We recommend coaches to plan trainings in advance and write them down in training plans. Eventually, you will create a framework that you will use every year with relevant adjustments and improvements. 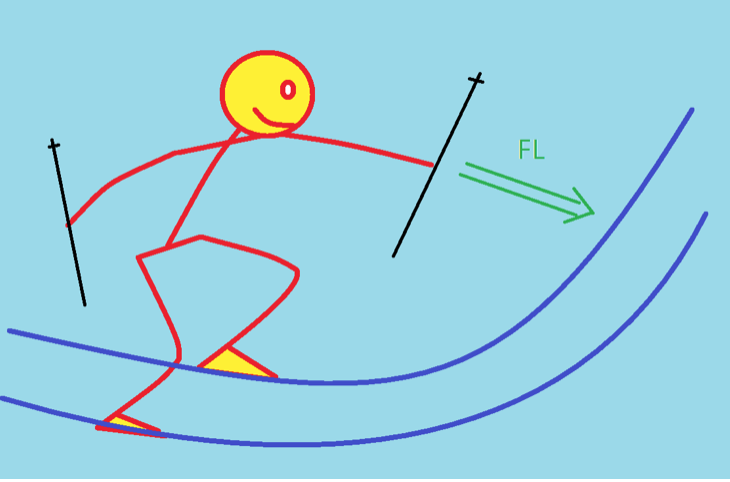 Ski cross is highly coordinative and technical kind of sport. Beginners need double the training time on coordination exercises including rollerblading practice. 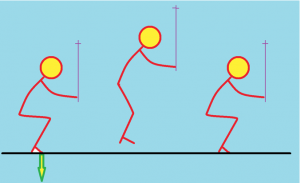 Strength elements should also be supplemented with coordination exercises. Dry Land Training Program normally starts one-week after winter season closing and ends on the first day of the ski practice on the snow. Summer snow practice for beginner group is not mandatory, but it is an excellent component of training if available. Organization of comprehensive training program requires a set of facilities and equipment that will be used by athletes of all levels. Most of the required items you can purchase from suppliers, design and develop yourself or you can order full kit through USSX (link to popup SX club). For participants of POPUP SX CLUB program all equipment is supplied as a package. Following set of facilities and equipment is specially designed for SX athletes we developed over years of experiments and improvements. There is a variety of different sport grounds of all sizes and configurations. But to choose the right training ground you need to understand its purpose. The purpose of summer training for Level 1 athletes is to provide proper conditions for development of joints, skeletal and muscular systems. It is essential to workout on moving skills that will help athletes in winter. In the following chapters you will find videos and descriptions of facilities and equipment along with operational instructions and exercise plans. 2-4 setups. We advise to set them up in a dugout hall to have tension surface in level with surrounding ground. Adjustable height. 1 set per 5 athletes. Multipurpose track. Requires 20-40 truck tires, 2/3 dug into the ground in line, 1-1.5 m apart. Special coordination balls. 1 piece per athlete. Masking tape for marking course on the ground. Rollerblading training of all levels requires asphalted area with slight slope and 80-200m in length and no less than 10m in width. Personal equipment: Rollerblades, elbows and knees protection, gloves, helmet. It’s recommended to use long sleeve tops and pants. Falling gates for summer training. 80-1000 pieces. 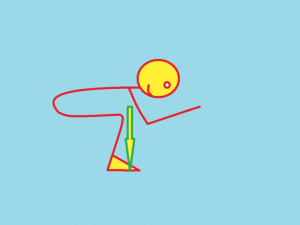 Set of moving features for ski cross training. Small wutang with adjustable transition zone 1piece. Small wave – 25 cm. 4 sets. Medium wave – 60 cm. 4 sets. 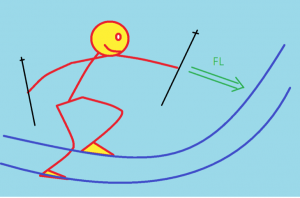 When you are training ski cross athletes, you should remember that their safety depends on their skiing and jumping form. The difficulty level of the exercises given to athletes should be within athlete’s performance capability zone in order to sustain safe progress from a beginner to the World Cup level. USSX training has 4 level of certification for coaches and athletes. Current program belongs to level 1 – Yellow certification. It is the first step on the long way to the peaks of mastery. Appropriately chosen training strategy prevent you from making costly mistakes at later stages of professional development and help you achieve your sports results faster and safer. Yellow program borrows methodologies from Austrian National Ski Academy highly regarded as one of the most experienced educators in Alpine skiing worldwide. The Academy completed an extensive research of top athletes, focusing on physical, physiological and psychological aspects of their training programs. We go over the research findings and learn how to use this scientific data in everyday training. Yellow program covers verily of foundational topics like most current turning technique that produce less stress on the athlete body. This method is grounded in principles of physics and morphological aspects of a human body to deliver increased performance in competitions. Next programs build upon the experience acquired in Yellow level and expands on more challenging elements of ski cross. This program is most suitable for development teams and should be used as a coaching tool aimed at preparing athletes for the next level – Blue program. This section introduces initial complex of exercises necessary for physical development and technical training of the athlete. Chapter 2.1 expands on how to increase an intensity during exercises. Following tables provide examples and explanation of each exercise objective and expected results. Combination of these exercises can vary. Don’t forget the main principle – combine strength exercises with coordination exercises targeting different muscle groups. The combination should allow the athlete to recover after each training session. Emotional level of the athlete is another important characteristic that shouldn’t be left without attention. All training sessions both winter and summer should start from the thorough warm-up. The purpose of the warm-up is to increase the temperature in the capillaries, joints and muscles, saturating blood with oxygen. As a result athlete quickly switches into high endurance metabolic state. During the warm-up joint fluids also increase in volume. The best start for the warm up is jogging. Sloped area with enough space to run in a loop, 60-80 m in length. Yellow level athletes, 5-6 repetitions of full loops is sufficient. Last 2 runs should be upslope sprints and downslope cool downs. Warm-Up: jogging on sloped hill, 60-80 m circle 5-6 roundss 2 last circles athletes run with acceleration up and relaxing run down.Increasing intensity run up can be replaced with the run up back forward. Running uphill. 15-25 degrees 13-15 sec. 2-3 times Top speed. Slowly return. Jumping down tire stairs, skipping one step, in basic position 1-2 times along all length Control width of legs and hands position. 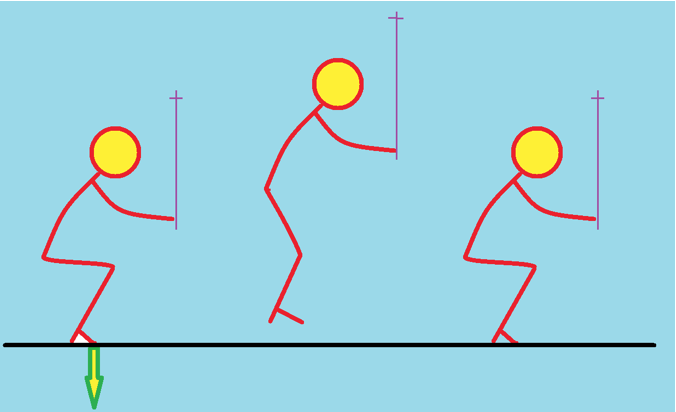 Jumping over steeples on both legs 1-2 Steeples spread at various distances and heights. Control hands position. Jumping over steeples on one leg 1-2 Steeples lineup in a curved line. 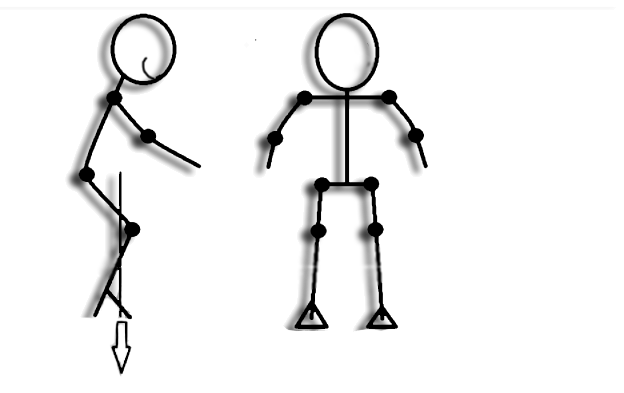 Control hands position. Running uphill backwards 20 sec. For Yellow level keep strength to technical exercise ratio around 1:3. The Top priority for athletes at this level is development of substantial skiing skills. This section contains the unique system of SX athletes training and is also a great supplement for ski races training. The biggest advantage of the rollerblades is that they offer a great platform for training skiing technique, loading leg muscles with exceptionally similar forces. Rollerblades ski cross training allow practicing simple turns, body position and more complex features and obstacles. 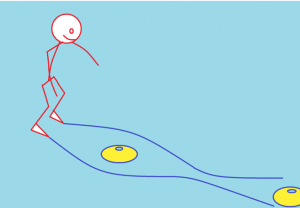 Well performed rollerblade training can nearly match the effectiveness of an onslope ski training. Ensure full leg and upper body protection. Use shin, knee, elbow, wrist guards, spine protection and, of course, helmet. Preferable clothing should have long sleeves in order to avoid scratches from falling on a hard surface. A Good option is full motocross jackets. 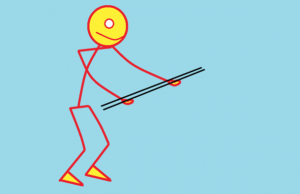 Ski sticks should be 5-7 cm longer for summer, compared to one used in winter. The most important piece of the equipment is rollerblades. Choose street rollerblades with wheels not exceeding 86 mm and firmest boots you can find. All training sessions both winter and summer should start with the warm-up. You may use following warmup example as your base and modify it to leverage local conditions and creative coaching. Moving around on the wide area. Few circles, 100-150 m in diameter. 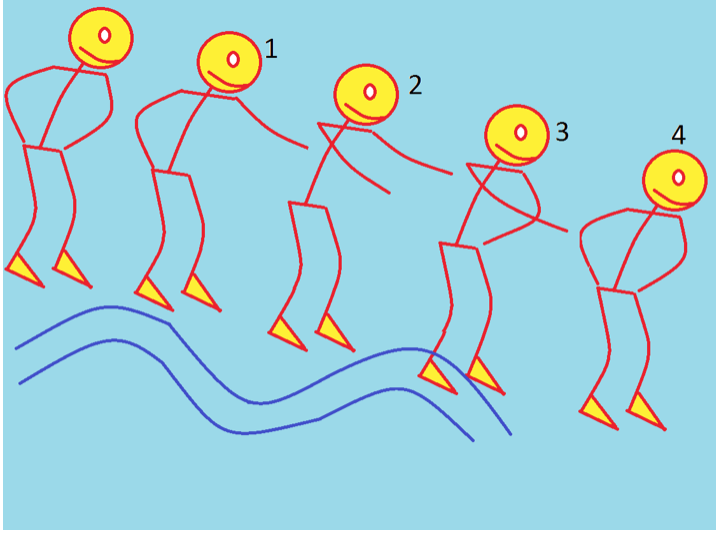 Athletes increase their speed with every circle approaching maximum skating speed. After first athlete finishes set umber of circles, the rest of the team stops and switch to stretching. 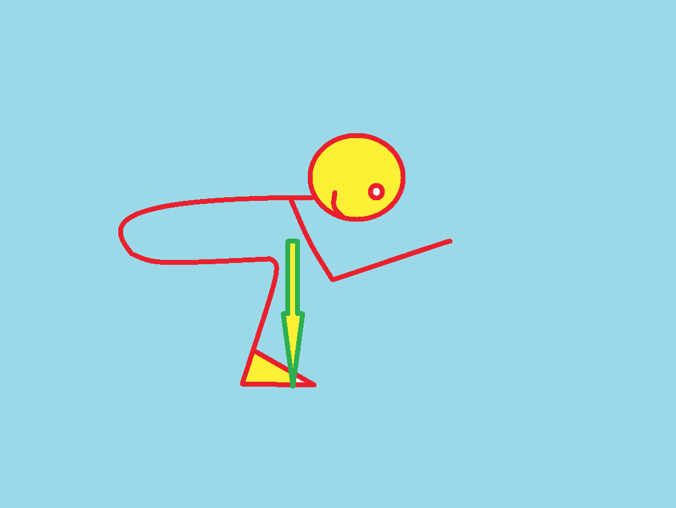 Stretching for technical training is identical to the stretching in strength training. You need to apply highest amplitude of movement for main active muscle groups. As usual stretching starts from a neck and follows the rest of the body top-to-bottom. Remember that the primary purpose of the Yellow Level is to build the strong foundation for the future development of the athlete. Correct main stand and correct work with features should receive great attention. Food spread width depends on the width of the hips and shoulders. Spine position must accommodate high vertical load. 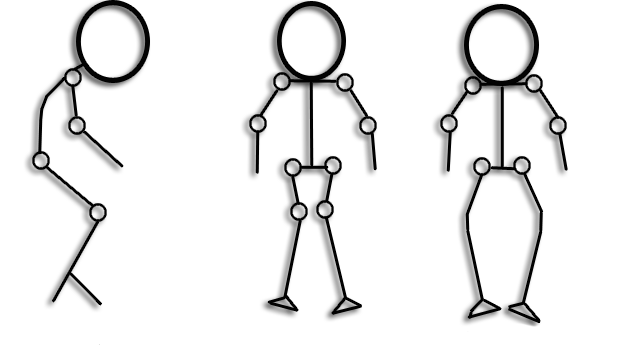 Knees should be bent just enough to allow jumping out slightly, without a necessity of a deeper squad. 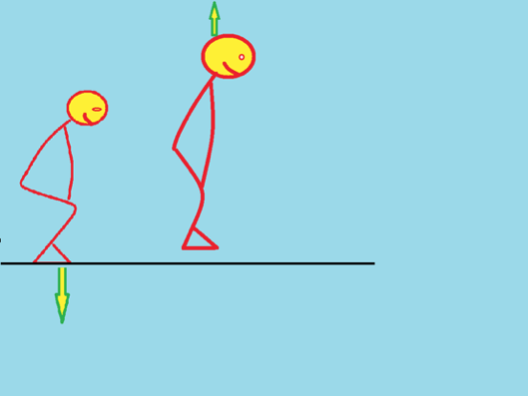 Hands are located in the most optimal position for lateral and frontal balance. The center of gravity is right above the toes. The Best way to test for the correct width between legs: Find horizontal surface and task athlete to jump out from the deep squat seven times in the row. 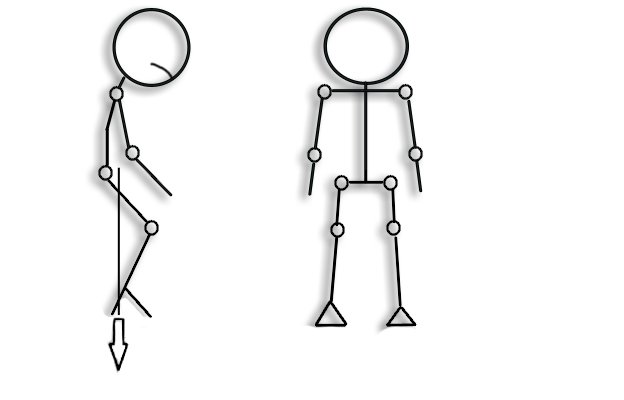 After 5th repetition, he will naturally have legs positioned at the most optimal width apart. 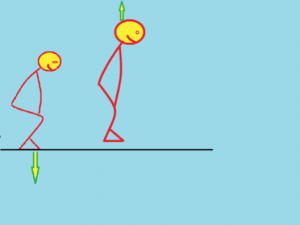 Instruct athlete to remember the position and repeat the exercise until correct stance is recorded into muscle memory. ERROR: Pressure on the back of the foot, shoulders lowered. 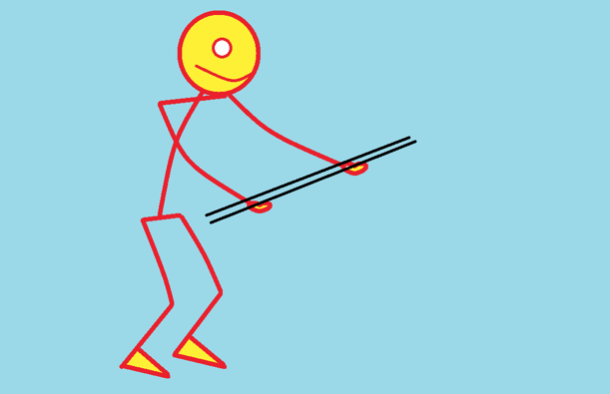 Increase exercise difficulty by putting two skipping ropes marking a gap that has to be cleared in a jump. 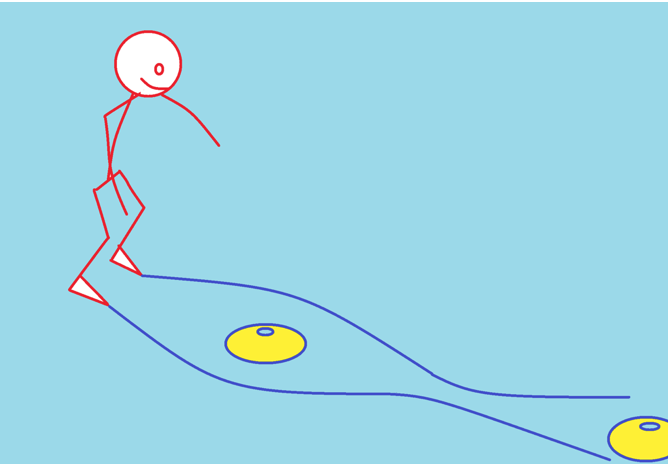 Increase exercise difficulty by introducing higher wave obstacles and combining various wave heights on the course. As athletes develop stronger rollerblading skill, start including waves, uphill sprints and backward riding into warmups. An important step towards increasing athletic performance is taking intermittent physical conditioning metrics. Test results help understand trends and steer future focus. Every test should be followed up with a retrospect session discussing observed deficiencies and necessary changes in the training program. See the example of the training correction table below. All measurements are relevant to the activities undertaken by real ski cross racer on the course, that’s why testing period is 60 second long. Tests should be performed at least every two months. You can speed up the testing process by pairing athletes into couples so they can keep counts for each other. Jumping max length and height indicates explosiveness quality of the muscle power and correlates to athlete’s ability to push out in the final stage of a turn. This is one of the core metrics in alpine ski sports. 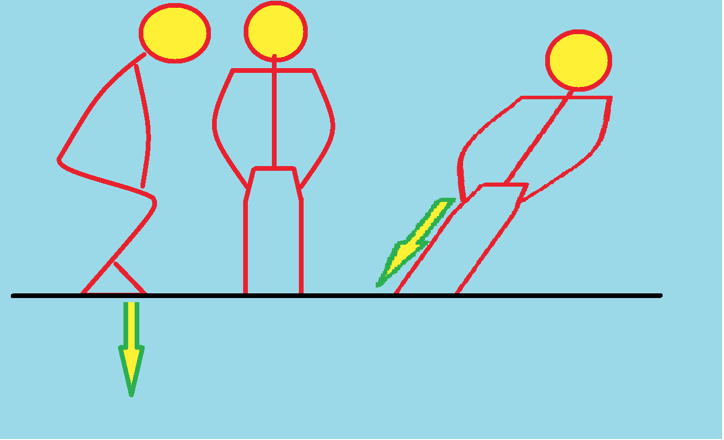 Chin-ups and pushups on parallel bars correspond to the athlete potential to perform powerful start, giving him the important advantage in the race. Skipping rope top speed relate to the swiftness of athlete coordination and overall vestibular system capability. Practical application of this ability manifests as decision making speed on the race course. “Gorki” exercise measures core strength of the athlete. Core muscles are most important for taking on the obstacles such as waves and jumps. Stepups show athlete capability apply force while descending from each wave getting forward acceleration. Final results of individual and group testing sessions become the basis for the training program adjustment to achieve most efficient growth in performance.